Helicopter pilot Don McTighe, park warden John Flaa, and wildlife biologist John Woods recently retrieved a radio-collar from a 23-year-old female grizzly bear. This bear had been part of the multi-agency Upper Columbia Bear Research Project for the past seven years. She stands out as the oldest female grizzly and the most successful mother grizzly bear in the study, having been seen with successive litters of two cubs at her side in 1995, 1998 and 2001. Captured in June 1994, this bear weighed 235 pounds, typical for a grizzly female in the interior of British Columbia. Radio-collar for a bear. Michael Morris photo. Radio collars are fitted with a short piece of canvas fire hose that is intended to rot, allowing the bear to eventually shed this man-made device. While collars are an unnatural intrusion in the bear’s life, information on bear movements, habitat preferences, reproductive success and survival are otherwise very difficult to determine. Knowledge of bear requirements in this region is needed to manage this “species of special concern” a term used by the Canadian Wildlife Service for a species whose continued existence is uncertain. 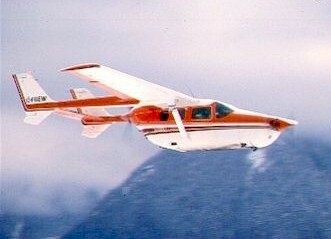 While getting a collar on a bear is a complicated operation, locating the bear afterwards is done from a distance by aircraft. A picture of this bear’s home range emerged over a seven year period, as138 locations of this bear were recorded and compiled on a map. Remarkably, this bear has remained in a 54 square kilometer near Yoho National Park, much smaller than the average female grizzly home range of 125 square kilometers calculated for all the female grizzlies in the study. Males range much farther. Bears older than 20 years are rare here. The oldest known male in the study was a 27-year-old grizzly who weighed 525 pounds and frequented the Beaver Valley in Glacier National Park. The oldest female was a 30-year-old black bear weighing 105 pounds that lived in the Mountain Creek drainage, the most inaccessible portion of Glacier National Park. A radio-collar is built to emit a different signal when it has not moved for over 4 hours. This occurs if the collar has fallen off the bear, if the bear is dead, or if the radio malfunctions. Knowing how bears die is important information for wildlife managers. Research throughout Alberta, British Columbia, Montana, Idaho, and Washington shows that only one grizzly bear in five dies a natural death. The other 80% die through a combination of hunting, poaching, collisions with cars and trains, and nuisance kills, usually in the protection of livestock or property. In recent years, Bear Aware programs throughout British Columbia have much reduced the later source of mortality. Retrieving a collar from a dead bear can be dangerous. Because sources of protein are rare in these mountains, other bears may feed on the carcass and may aggressively defend such a prize. 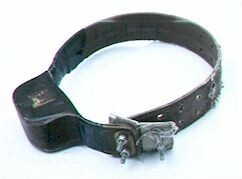 In this case, the collar was dropped from a living bear on a cliffy hillside that was clearly visible to the search party. No bears were seen at this retrieval site, though there was evidence of fresh diggings for ground squirrels, a fall favourite for grizzlies. This female grizzly continues her life without a collar, whereabouts unknown.